In the first instance, Greek courts are subdivided into Magistrate Courts (Justices of the Peace), Single-Member First Instance Courts and Multi-Member First Instance Courts. Though there are a lot of exceptions, depending on the nature and subject matter of the dispute, the general rule is that in the ordinary procedure of the civil courts the Magistrate Courts are competent for monetary disputes up to €20,000; disputes arising out of lease agreements where the monthly rent does not exceed €600; and disputes between joint property owners up to €20,000. The Single-Member First Instance Courts are competent for monetary disputes up to €250,000. The Multi-Member First Instance Courts are competent for all disputes for which the Magistrate Courts and the Single-Member First Instance Courts are not competent. By exception, the Magistrate Courts are also competent for a number of disputes depending on their nature and subject matter and irrespective of the value of the dispute. Likewise, the Single-Member First Instance Courts are competent for a number of disputes depending on their nature and subject matter, even if the value of the dispute is above €250,000, in which case it would normally fall within the competence of Multi-Member First Instance Courts, and for some other disputes irrespective of whether the Magistrate Courts or the Multi-Member First Instance Courts would otherwise be competent. As regards disputes that are heard in the special proceedings before the civil courts, such as family and matrimonial disputes, property disputes (arising out of lease agreements, labour disputes, disputes in connection to the payment of fees and credit instruments) and orders for payment or the surrender of the use of the leasehold, the general rule is that either the Magistrate Courts or the Single-Member First Instance Courts will have competence, depending on the value of the dispute in question. There are very few cases in the special proceedings where the Multi-Member First Instance Court will have competence. For interim measures proceedings and for cases that are heard in a voluntary procedure of a quasi-administrative nature, as a general rule the Single-Member First Instance Court will have competence. In the second instance, the Single-Member First Instance Courts are competent for appeals against decisions of the Magistrate Courts within their territory; the Single-Member Appeal Courts are competent for appeals against the decisions of the Single-Member First Instance Courts; and the Three Member Appeal Courts are competent for the hearing of appeals against decisions of the Multi-Member First Instance Courts. In the third and final instance, the Supreme Court (Areios Pagos) is competent for appeals in cassation (on points of law) against decisions of any civil court. There are no specialist commercial or financial courts, but there are special commercial sections in the ordinary procedure of the First Instance and Appeal Courts, while special naval sections (in charge of naval disputes) have been established in the First Instance and Appeal Courts of Piraeus. issue the decision in due course. In the voluntary procedure, the inquisitorial system applies and the court may order ex officio any measure suitable for ascertaining the facts, even if not raised by the parties, and especially facts that contribute to the protection of the interested parties, their relationship or the greater public interest. There is no jury in Greek civil proceedings. the claims of persons to whom work is provided for their prepayments made against future claims. Any limitation period is interrupted if the debtor recognises the claim in any way. The parties cannot agree to disapply the statute of limitation or to set a longer or shorter limitation period or to make the terms of the statute of limitation harsher or lighter. However, it is possible to waive the right to invoke the statute of limitations after such time has lapsed. By means of article 182 of Law 4512/2018, effective 17 September 2018, before submitting to the court, the authorised attorney must inform his or her principal in writing as per the possibility of attempting to settle the dispute via mediation, provided that the conditions for mediation are met, as well as on any mandatory submission of the dispute to mediation, under the penalty of inadmissibility of the hearing of the action. Such informative documentation must be signed by the principal and his or her attorney and must be filed together with the writ of the action or any other legal brief initiating proceedings, under the penalty of inadmissibility of the hearing of the action or such brief. As regards the steps available to a party to assist in bringing an action, although pre-action exchange of documents is not provided in Greek law, it is possible for a party to request the production of documents either during the pending trial proceedings or even before, by means of a separate legal action or an application for interim measures in case of urgency, provided that the party making this request pre-action has a legal interest to be informed of the content of a document in the possession of another, ie, if the document was drafted in the interest of the party requesting it or certifies a legal relationship that relates to him or relates to negotiations for the said legal relationship entered into by the applicant or a third party intervening for the latter. Proceedings are commenced when the writ of action is deposited at the secretary of the court to which it is addressed or is deposited electronically and a copy thereof is served on the defendant. Greek courts have a long history of issues with handling the caseload in a timely manner and, in spite of a number of reforms and initiatives attempted, such issues remain to a great extent. The last major reform was through Law 4335/2015, effective as of 1 January 2016, which provided, inter alia, for the abolition of the examination of witnesses at the hearings, as this was thought to cause delays, and for new, shorter timetables, as set out in question 6. A claim that is heard in the ordinary procedure must be served to the defendant within 30 days or, if the defendant resides abroad or is of unknown address, within 6o days. Written pleadings, together with any supporting documentation, powers of attorney, affidavits, exhibits, etc, drafted in Greek or together with their (full or partial, as the case may be) legal translation in Greek, must be filed by the parties within 100 days as of the filing of the claim or, if any of the defendants resides abroad, within 130 days of filing. Additional pleadings and rebuttals can be filed 15 days after the filing of the pleadings, together with any additional documentation. Interventions (joinders), summonses to the trial, announcements of the trial or counter-actions are filed and served on all parties within 60 days from the filing of the claim. Interventions made after a summons to the trial or an announcement of the trial must be filed and served on all parties within 60 days from the filing of the claim. Within 15 days from the closing of the case file, the judge (or in case of a Multi-Member Court the panel of the court and its judge rapporteur) must be appointed and the hearing date must be set no later than 30 days after the end of the above deadline, or if this is not possible due to the caseload of the court, at a later date, as necessary. This 30-day deadline for setting the hearing date is in practice not met by most Greek courts due to their caseload, and delays, ranging from a couple of months to up to one year in some cases, have unfortunately become the norm. The courts’ decisions are in writing and are issued after the hearings, usually between two to eight months thereafter. The parties can extend the timetable of the procedure, ie, the relevant deadlines set by law or by the court, if the parties agree to that and only if the court also agrees, or if the court so decides absent any agreement of the parties, taking into account the circumstances of each case. Extending appeal deadlines is not possible. In addition, at the request of one of the parties the judge or the court, as the case may be, may also decide to shorten the applicable deadlines if there are serious reasons and the deadline is not one for filing an appeal. The parties can also agree to shorten the legal or court deadlines. There is no specific duty under Greek procedural rules to preserve documents and other evidence pending trial. There is a general duty on the parties and their attorneys to conduct the proceedings in good faith and to set out the facts as they know them, fully and truthfully. The parties and their attorneys are also expected to contribute, with their diligent conduct of the trial and the timely raising of argumentation and submission of means of evidence, to the expedition of the trial and the speedy resolution of the dispute. Though the notion of privilege does exist in Greek law, there are no specific rules in Greek civil procedural law determining whether a document can be characterised as privileged or not. That said, it is specifically provided in the Greek Code of Civil Procedure that priests, lawyers, notaries, doctors, pharmacists, nurses and their aids, as well as any advisors of the parties, cannot be examined, when summoned as witnesses, on the facts that were entrusted to them or they ascertained during the exercise of their profession, for which they have a confidentiality obligation, unless the party entrusting the same to them and to whom the secrecy relates allows it. Public officials and military personnel, in service or retired, cannot be examined as witnesses for facts for which they have a confidentiality obligation, unless the competent minister allows their examination. In any event, priests, lawyers, notaries, doctors, pharmacists, nurses and their aids, as well as any advisors of the parties, are entitled to refuse to be examined as witnesses on the facts that were entrusted to them. Relatives up to the third degree, unless they have the same relation to all parties, spouses, even after the dissolution of their marriage, and those engaged to be married may also refuse to testify. Lastly, any witness may refuse to testify facts that constitute professional or artistic privilege. In view of the above, documents containing privileged information are not expected, as a matter of Greek law and practice, to be shown to the other party, and any request to the court either to examine as a witness a person covered by privilege or to force a party to produce documents that contain privileged information is not likely in the majority of cases to be accepted. The parties have the right to examine under oath witnesses prior to trial before either the competent magistrates (justices of the peace) or notaries or Greek consulates (if the testimony is given outside of Greece). They have a duty to summon the other party to attend, if they wish, the execution of such testimony under oath (affidavit), at least two business days before, and to include in such summons the exact date and place of execution of the affidavit to be given, the action or brief to which it refers and the name, address and profession of the affiant. The party summoned may obtain a copy of the affidavit at any time after its execution or at the time of its submission to the court by the opponent, together with the latter’s pleadings and supporting documentation. Evidence is presented to the court by means of each party’s pleadings and additional pleadings and rebuttals, which are filed together with each party’s supporting documentation. In respect of claims filed after 1 January 2016 that are heard in the ordinary procedure, witnesses and experts no longer give oral evidence and their testimonies are in effect substituted by written testimonies under oath (affidavits) executed, as mentioned above, before either the competent magistrates (justices of the peace) or notaries or Greek consulates (if the testimony is given outside of Greece). If after the review of the case file it is found by the court that the oral testimony of one affiant from each side or, in the absence thereof, of one person proposed by each side, is absolutely required, then an order to repeat the hearing for the purposes of such oral testimony will be given by the court. Witnesses and experts can still give oral evidence in cases heard under the special proceedings, the voluntary procedure or interim measures proceedings. the issuance of a European Account Preservation Order pursuant to Regulation (EU) No. 655/2014. The above remedies are available in support of foreign proceedings provided that the local Greek courts have jurisdiction to order the interim relief sought. a declaratory judgment declaring the rights or obligations of one party. Punitive damages, however, are not available under Greek law. In case of a monetary claim and when the debtor is late in payment, the creditor is entitled to claim the interest provided by contract or by law, without being obliged to prove any damage. In addition to interest, the creditor may also claim, unless otherwise provided by law, any other positive damage that he or she has suffered. In such cases, interest is payable on a money judgment provided that it is formally requested by the court. in case the creditor’s claim cannot be fully satisfied via any imposed seizure of the debtor’s property, via obliging the debtor to submit under oath to the court a detailed list of all his or her assets, with their exact location. Civil court hearings in Greece are held in public and only the deliberation for the issuance of the court’s decision is made in secret. The judge conducting the hearing may determine in his or her judgment the number of persons that can stay within the court and has the power to order the exclusion of minors, persons carrying arms, as well as those that do not behave well in court. The court can order a hearing, or part thereof, to be in closed session if it could be detrimental to good morals or public order. Pretrial proceedings and any proceedings outside court are not public, although the parties, their legal representatives and attorneys may attend same. Any court documents filed with the court are not available to the public, but only to the parties, their legal representatives and attorneys. The court has the power to order costs and as a rule it is the losing party that is condemned by the court to pay the costs of the winning party. In case of partial victory and partial defeat of each party, the court will assess the costs according to the extent of their respective victory and defeat. The court can also offset all costs or part thereof when the dispute is between relatives up to the second degree or if it finds that the interpretation of the rule of law that was applied was especially difficult. For the purposes of the court determining and clearing the amount of costs that should be awarded, each side must produce a table with his or her respective costs. The claimant is not required by law to provide security for the defendant’s costs, but the defendant can make such a request to the court and the court may order security for costs if there is an obvious danger of inability to enforce the court’s decision condemning a plaintiff to pay costs. ‘No win, no fee’ agreements and other similar types of contingency or conditional fee arrangements between lawyers and their clients are available to parties in Greece. In case of such an agreement, the agreed fee cannot exceed 20 per cent of the value of the dispute and, in the event that more than one lawyer is involved, 30 per cent. The agreement must be made in writing and must be duly filed with the local bar association of the lawyer that has concluded the same. The agreement will be valid only if the lawyer has undertaken the obligation to carry out the trial until the court’s decision has become final and unappealable, without the lawyer being entitled to any fee in case of defeat. Any agreement between the parties for expenses does not overturn the validity of the said fee arrangement. Yes, such insurance is available, subject to the risk profile in question and the amount of coverage. Greek law provides for simple and forced collective redress. In the case of simple collective redress, more than one person can lodge a claim (or face a claim) if they have the same common rights or obligation or if their rights and obligations are based on the same factual and legal cause, or if the subjects of the dispute are claims or obligations of the same kind or obligations based on materially the same historical and legal basis and the court has competence upon each defendant. Collective redress will be forced when the dispute requires a uniform way of resolution or if the parties can only jointly bring or face a claim or when, because of the circumstances of the case, there cannot be contrary decisions towards the parties. The litigants that do not legally participate in the trial or have been summoned to attend the same will be deemed to be represented by those attending. In addition to the above, it is also possible under Greek law for consumer unions to bring a class action against suppliers that violate the law. This action can be any kind of action for the protection of the general interests of consumers and usually aims at the issuance of a court decision ordering the supplier in question to cease its illegal activity or pay moral damages. The parties can appeal a decision when they were wholly or partially defeated in the first instance and if the decision was erroneous in fact or in law. The decisions that can be appealed are those of the Magistrate Courts, Single-Member First Instance Courts and Multi-Member First Instance Courts. Disputes heard before the Magistrate Courts with a value under €5,000 cannot be appealed. Only decisions that are either final or refer the dispute to the competent court can be appealed. The deadline for the filing of an appeal is 30 days from the service of the first instance decision or, in the event that the appellant resides outside Greece or is of unknown residence, 60 days. If the decision has not been served, then the appeal deadline is two years from the publication of the first instance decision. During the time period for the filing of the appeal, the first instance decision cannot be enforced, unless the decision was declared by the first instance court as temporarily enforceable against the losing party. An appeal that has duly been filed will suspend the enforcement of the first instance decision, save for any first instance decision that was declared temporarily enforceable against the losing party. The court will first examine the admissibility of the appeal, then examine the admissibility and soundness of its grounds, and if any of the appeal grounds is found to be sound, the first instance decision will be quashed and the Appeal Court will keep the case and decide on its merits. The Appeal Court cannot render a decision that is more detrimental to the appellant if the opponent has not filed its own appeal or counter-appeal. However, the Appeal Court can render a decision that is more detrimental to the appellant if it quashes the first instance decision and goes ahead with ruling on the merits. A further appeal in cassation is possible before the Supreme Court, but only on points of law, not fact. The deadline for the filing of such further appeal is 30 days from the service of the appealed decision or, in the event that the appellant resides outside Greece or is of unknown residence, 60 days. If the decision has not been served, then the appeal in cassation deadline is two years from the publication of the decision. all contracting states to the European Convention on Recognition and Enforcement of Decisions concerning Custody of Children and on Restoration of Custody of Children (9 May 1980). If no international agreement (multilateral or bilateral) exists or if the Regulation of the EU does not apply to the recognition or enforcement of a certain foreign judgment, then such judgment will be recognised and enforced in Greece pursuant to the Greek Code of Civil Procedure (GCCP) (Presidential Decree No. 503/1985, as amended and in force today). However, in the event that an international agreement is in place or if the Regulation of the EU is applicable, then the rules of such agreement or EU Regulation will supersede and disapply the GCCP. In case the GCCP applies, then the following rules and process may come into play. it is not contrary to good morals or to public order. Though recognition of a foreign judgment is ipso jure, ie, without any procedure, provided that the conditions set out in article 323 GCCP are met, there is also the possibility, if there is any legal interest in doing so, to file a civil action seeking a declaratory judgment on whether or not the res judicata of a foreign judgment has or does not have effect in Greece. it is not contrary to good morals or to public order. it meets the conditions of article 323(ii)-(v) GCCP. As regards enforcement of a foreign judgment, then pursuant to article 905 GCCP and subject to what international treaties and Regulations of the EU provide, a foreign judgment can be enforced in Greece after it has been declared enforceable by a judgment of the Single-Member First Instance Court of the district within which the domicile of the debtor is or, if there is no domicile, of the debtor’s residence, or, if there is no residence, of the Single-Member First Instance Court of Athens. A foreign judgment will be declared enforceable by the competent Greek Single-Member First Instance Court pursuant to the above procedure if it is enforceable pursuant to the law of the country of issuance and if it is not contrary to good morals or public order of Greece. Lastly, for a foreign judgment to be declared enforceable, the conditions of article 323(ii)-(v) GCCP must also be met. Yes, for civil and commercial matters, this is possible on the basis of Council Regulation (EC) No. 1206/2001 of 28 May 2001 on cooperation between the courts of the member states in the taking of evidence in civil or commercial matters. Law 2735/1999 on International Commercial Arbitration (Law 2735/1999), applicable to international commercial arbitration proceedings seated in Greece, is the legal act that incorporated the UNCITRAL Model Law in Greek legislation. Law 2735/1999 has not been adjusted to the amendments of the Model Law adopted by UNCITRAL on 7 July 2006. The GCCP, and in particular articles 867-903, applies to domestic arbitration proceedings and has not been adopted in accordance with the UNCITRAL Model Law. The arbitration agreement should be in compliance with article 7 of Law 2735/1999, with regards to international commercial arbitration, and article 869 GCCP, with regards to domestic arbitration. Both provisions require the agreement to be in writing. However, the lack of a written agreement may be cured if both parties participate in the proceedings without expressing any objections or reservations. In international commercial arbitration, in the absence of any relevant agreement of the parties, the arbitral tribunal shall consist of three arbitrators (article 9 of Law 2735/1999). Each party shall appoint one arbitrator and the two arbitrators shall appoint the third one. If a party does not appoint an arbitrator within 30 days from the receipt of such a request from the other party, or the two arbitrators, appointed by the parties, cannot agree to the appointment of the third one within 30 days from their appointment, any party may request the intervention of the competent Single-Member Court of First Instance in order to make such appointment (article 11, paragraph 4(a) of Law 2735/1999). Article 12(2) of Law 2735/1999 provides that an arbitrator may be validly challenged only for justifiable doubts as to his or her impartiality, independence or possession of the qualifications agreed to by the parties. A party may even challenge an arbitrator appointed by itself, or in whose appointment it has participated, but solely for reasons of which it became aware after the appointment had been made. In domestic arbitration, in the absence of any relevant agreement by the parties, each party may invite in writing the other party to appoint an arbitrator within at least eight days, mentioning in the same document the arbitrator it appoints. Each arbitrator is notified of the name and the address of the other arbitrator. Within 15 days from the last of the aforementioned notifications, the two arbitrators shall appoint the presiding arbitrator and announce such appointment to the parties (articles 872-874 GCCP). If any of the aforementioned appointments fails to be completed within the deadlines provided, any party may request the intervention of the competent Single-Member Court of First Instance in order to make such an appointment (article 878 paragraph 1 GCCP). In domestic arbitration, the arbitrators may be challenged for reasons related to their prior involvement in the case, any interest they may have in the arbitration, their family relation to the parties or any relationship they may have to the parties that creates any suspicion of bias and their entire or partial incapacity to contract or deprivation of political rights. The party challenging the arbitrator is able to invoke only reasons of which it became aware after the appointment of the arbitrator took place. Subject to the grounds for challenging an arbitrator provided in response to question 25, and any requirements set out by the parties in the arbitration agreement, the parties, any appointing authority or the court are not restricted when appointing the arbitrators. In domestic arbitration, article 871A GCCP provides for specific requirements when judges are selected as arbitrators. In addition, Greek legislation does not place any restrictions on appointing non-nationals as arbitrators in either international commercial or domestic arbitration. However, article 49 of the Introductory Law of the GCCP, article 16(2) of Law 4110/2003 (which replaced article 6(3A) of Law 3086/2002) and article 8(1) of Legislative Decree 736/1970 list certain requirements for the appointment of arbitrators over disputes arising from contracts concluded with the state or state entities in both international and domestic arbitration. In particular, the state’s arbitrator should be a member of the State Legal Council and is appointed by virtue of a decision of the Minister of Finance and any other competent minister, following an opinion issued by the Plenary of the State Legal Council. 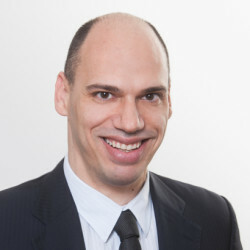 Greek law also allows the appointment of a state arbitrator who is not a member of the State Legal Council, if the nature of the dispute so requires, provided that there is a relevant provision in the arbitration agreement countersigned by the Minister of Finance. Pursuant to articles 19 of Law 2735/1999 and 886 GCCP, the arbitral tribunal is free to conduct the arbitration in such a manner as it considers appropriate, subject to any requirements agreed to by the parties. However, the aforementioned power of the arbitrators is restricted by articles 18 of Law 2735/1999 and 886(2) GCCP, which provide that the parties shall be treated with equality and be given a full opportunity of presenting their case, ie, attending the hearings, submitting and elaborating on their claims, and submitting their evidence. In addition, any other rules considered as public order rules are mandatory in all cases, and cannot be excluded by means of the arbitration agreement (article 890(2) GCCP). In both international commercial and domestic arbitration, the court’s intervention is mainly reserved for cases where the arbitration is at a standstill and the parties or the arbitrators address a relevant request to the court. First of all, the competent Single-Member Court of First Instance may intervene in the arbitration, upon the request of one of the parties, if the arbitrators’ selection mechanism agreed by the parties fails, unless the parties’ agreement provides otherwise for securing such selection (articles 11(3) of Law 2735/1999), or if the parties or the arbitrators have failed to appoint an arbitrator, or the presiding arbitrator respectively, within the provided deadlines (articles 11 (4)(a) of Law 2735/1999 and 878(1) GCCP). The court’s decision on the appointment of an arbitrator is not subject to appeal (articles 11 (6) of Law 2735/1999 and 878(3) GCCP). In addition, in international commercial arbitration, if the challenge of an arbitrator, under any procedure agreed upon by the parties or under the procedure provided by law (ie, withdrawal of the challenged arbitrator, agreement by the other party to the challenge, or the arbitral tribunal’s decision on the challenge) is not successful, the challenging party may request, within 30 days after having received notice of the decision rejecting the challenge, the competent Single-Member Court of First Instance to decide on the challenge, whose decision shall not be subject to appeal. Pending such a request, the arbitral tribunal, including the challenged arbitrator, may continue the arbitral proceedings and issue an award (article 13(3) of Law 2735/1999). In domestic arbitration, it is the competent Single-Member Court of First Instance that decides upon such a challenge in the first place, while such decision is not subject to appeal and the arbitrators postpone the adjudication of the case until the issuance of the court’s decision (article 883(2) GCCP). Despite the aforementioned provision, it is accepted that the arbitral tribunal is not obliged to postpone the arbitration, precisely to safeguard the velocity of the arbitral procedure, which is one of its main advantages. In such a case, the arbitral award would be subject to annulment only if the request for challenging the arbitrator was finally accepted by the court. In international commercial arbitration, if an arbitrator becomes de jure or de facto unable to perform his or her functions or for other reasons fails to act without undue delay, and if any controversy remains concerning any of these grounds, any party may request the competent Single-Member Court of First Instance to decide on the termination of his or her mandate, whose decision shall not be subject to appeal (article 14(1) of Law 2735/1999). If the court accepts such request, the appointment of a substitute arbitrator is effected according to the rules applicable to the arbitrator being replaced (article 15 of Law 2735/1999). With respect to domestic arbitration, article 880 GCCP provides that any arbitrator or presiding arbitrator who initially accepted his or her appointment, may subsequently decline to perform his or her duties for severe reasons, upon being granted the court’s permission. Such permission is granted by the competent Single-Member Court of First Instance, upon examination of the arbitrator’s or any party’s request, in ex parte proceedings. Such decision is not subject to appeal. Article 884 GCCP also allows any of the parties to request the competent Court of First Instance to order a reasonable deadline for the delivery of the award, if the arbitral proceedings or the issuance of the award are delayed and the arbitral agreement does not set out any such deadline. Finally, pursuant to article 9 of Law 2735/1999, the arbitration agreement does not prevent a regular court from granting interim relief, before or during the arbitral proceedings. What’s more, if a party does not comply voluntarily with the interim relief ordered by the arbitral tribunal, in international commercial arbitration, the other party may resort to the competent court requesting the imposition of such relief. In relation to international arbitration, article 17 of Law 2735/1999 provides that, unless otherwise agreed by the parties, the arbitral tribunal may, upon request of one of the parties, order any interim relief considered necessary in relation to the nature of the dispute. The arbitral tribunal may order any of the parties to provide security in relation to such relief. In case a party does not comply voluntarily with the interim relief ordered by the arbitral tribunal, the other party may resort to the competent court requesting the imposition of such relief. In domestic arbitration, arbitral tribunals are explicitly prohibited from granting interim relief, and any such agreement between the parties is considered null and void (articles 685 and 889 GCCP). Greek law does not impose any time limits that the tribunal should respect for the delivery of the arbitral award. However, with regards to domestic arbitration, article 884 GCCP allows any of the parties to request the competent Court of First Instance to order a reasonable deadline for the delivery of the award, if the arbitral proceedings or the issuance of the award are delayed and the arbitral agreement does not set out any such deadline. No relevant provision exists with regards to international commercial arbitration. Under article 31 of Law 2735/1999, the award must be in writing, signed by the arbitrator(s) and must contain the grounds for the ruling, unless otherwise agreed by the parties or the award is an award on agreed terms. The arbitral award must also state the date and place of the arbitration, and the original must be delivered to each party. The above requirements, together with the statement of the full names of the arbitrators and the parties and the arbitration agreement, should be respected in relation to domestic arbitration as well, pursuant to article 892 GCCP. As opposed to international commercial arbitration, in domestic arbitration the delivery of copies of the arbitration award to the parties is sufficient. Pursuant to article 32(5) of Law 2735/1999, unless otherwise agreed by the parties and if the award is to be enforced in Greece, the arbitrator or one of the arbitrators (appointed by the tribunal) is obliged to file the original of the award with the secretariat of the competent Court of First Instance. The same obligation exists under domestic arbitration (article 893 GCCP). In principle, awards of international commercial arbitration are not subject to appeal (ie, challenge on the merits), but the parties have the power to agree recourse against the award before another arbitral tribunal (article 35(2) of Law 2735/1999). The same applies to domestic arbitration (article 895 GCCP). the composition of the arbitral tribunal or the arbitral proceedings were not in compliance with the arbitration agreement or, absent such agreement, with Law 2735/1999. one of the grounds for the filing of trial de novo under Greek law is met (article 895 GCCP). the award was issued in arbitration involving a non-existing individual or legal entity (article 901 GCCP). The party that intends to enforce a foreign arbitral award in Greece should file an application for its recognition and enforcement before the Single-Member Court of First Instance of the residence of the debtor, to be heard in ex parte proceedings. The court has the power to summon any third party that has a legitimate interest to intervene to the trial, rendering such party a litigant of the proceedings. In addition, Greece is party to the Convention on the Recognition and Enforcement of Foreign Arbitral Awards (the New York Convention), and has transposed the latter to its national legislation by virtue of the Legislative Decree 4220/1962. Therefore, the grounds on which recognition and enforcement of a foreign arbitral award may be refused (if invoked by a party or ex officio, where applicable) are those prescribed in article V of the New York Convention. In contrast, for the enforcement of a domestic arbitral award, its filing to the Secretariat of the Single-Member Court of First Instance suffices. The reimbursement of the parties’ costs may be subject to the arbitration agreement. In the absence of a relevant provision in the arbitration agreement, the arbitral tribunal shall decide on the allocation of costs based on the circumstances and the complexity of the case and the outcome of the proceedings. Hence, the arbitral tribunal is free to decide whether it will order each party to bear its own costs, divide the costs proportionally or oblige the losing party to reimburse the successful one for its costs. ADR mechanisms are not commonly used in Greece. Mediation was introduced in the Greek legal order by virtue of Law 3898/2010, for the purpose of the implementation of Directive 2008/52/EC. It has been suggested that, since the introduction of the said law, the legislative status governing mediation has been rendered so complicated and bureaucratic that few parties are interested in resorting to mediation. Quite recently, Law 4512/2018, containing ‘Regulations relevant to Mediation’, was adopted for the purpose of further harmonisation of Greek legislation to the provisions of the said Directive. Law 4512/2008 is expected to promote mediation in Greece and has in some cases even made resorting to mediation mandatory, as mentioned above. disputes arising from stock exchange contracts. If the parties override their obligation to resort to mediation, the court declares the hearing of the case inadmissible (article 182(1) of Law 4512/2018). In addition, lawyers are required to inform their clients, in writing, of their right to resort to mediation, in any case, as well as of the mandatory recourse to mediation, where applicable; otherwise, the court declares the hearing of the case inadmissible (article 182(3) of Law 4512/2018). If a party does not attend the mediation proceedings, albeit having been lawfully summoned, the court will impose a fine ranging from €120 to €300, and possibly the additional amount of up to 0.2 per cent of the amount of the dispute, depending on the extent of the defeat (article 182(2)(C) of Law 4512/2018). The mandatory effect of the prior recourse to mediation proceedings for the aforementioned disputes will become effective from 17 October 2018. In relation to arbitration, it is noticeable that criminal cases, administrative disputes that fall within the competence of the Council of the State as specified in articles 94 and 95 of the Greek Constitution and family disputes cannot be referred to arbitration under Greek law. With regards to tax disputes, although in principle they are not arbitrable, they can be referred to arbitration where the state has control over the subject of the dispute. Labour disputes are also explicitly exempt from arbitration, save for collective bargaining disputes (article 15 of Law 1876/1990). In spite of the very ambitious and extensive reforms to the civil litigation system introduced by means of Law 4335/2015, the caseload of the Greek courts remains heavy and the speedy resolution of disputes has not yet been attained. In addition, there is an increasing emphasis on mediation as an alternative means to dispute resolution, though it remains to be seen in practice as to how successful and effective the recent measures will be, given the relatively limited use of mediation in Greek practice so far.